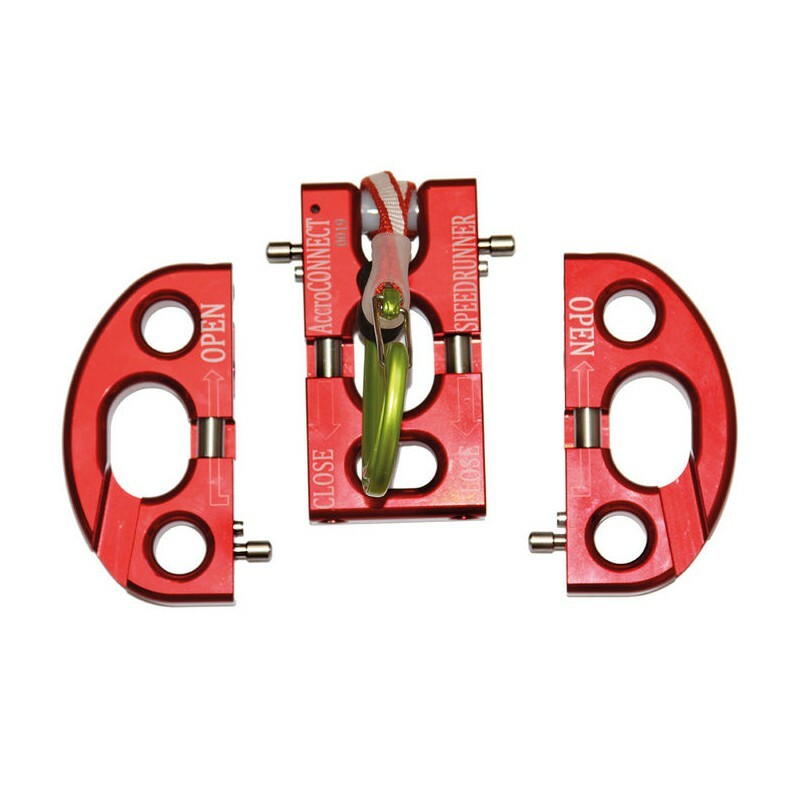 Remain safely attached when disconnection from the primary wire rope is required. 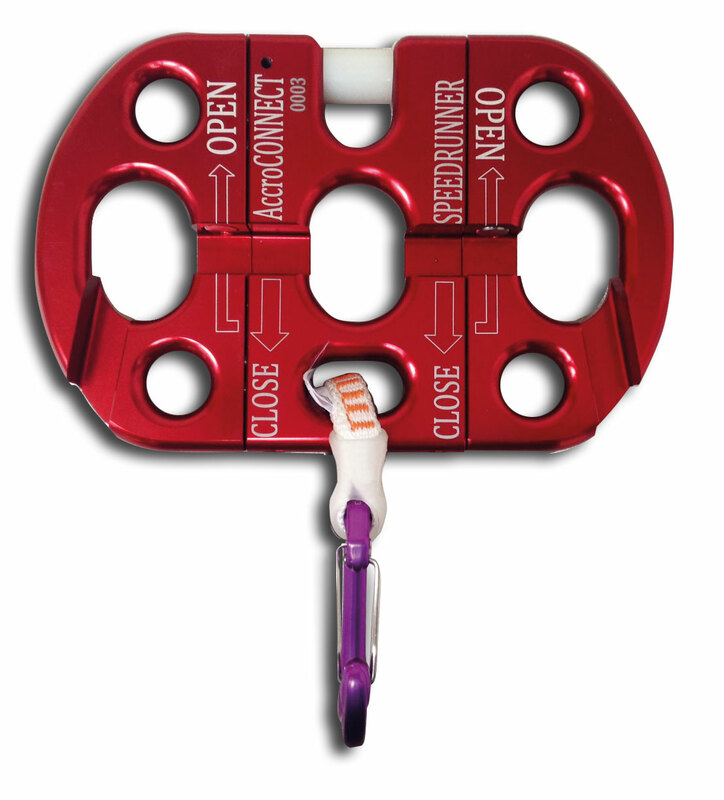 Designed for use with the Speedrunner® continuous belay system. Easily integrate special elements like free jumps, Tarzan Swing or ski/skate board with the Speedrunner AccroCONNECT. The foolproof mechanism ensures customer safety. User cannot continue without disconnecting the shuttle. The system will be always free for next user! Exclusive worldwide distributor. AccroCONNECT is patented by Accroforest Peyrins, France. Reproduction of this system is illegal and subject to prosecution if not removed from use and destroyed. If you have any doubt, please fill free to contact us to see if you are subject to royalty payments to use the system.